we were 4 people in the apartment and we had enaught of space, flat has full kitchen equipment, and is no problem make any cook. we had nice tíme. thnank's. 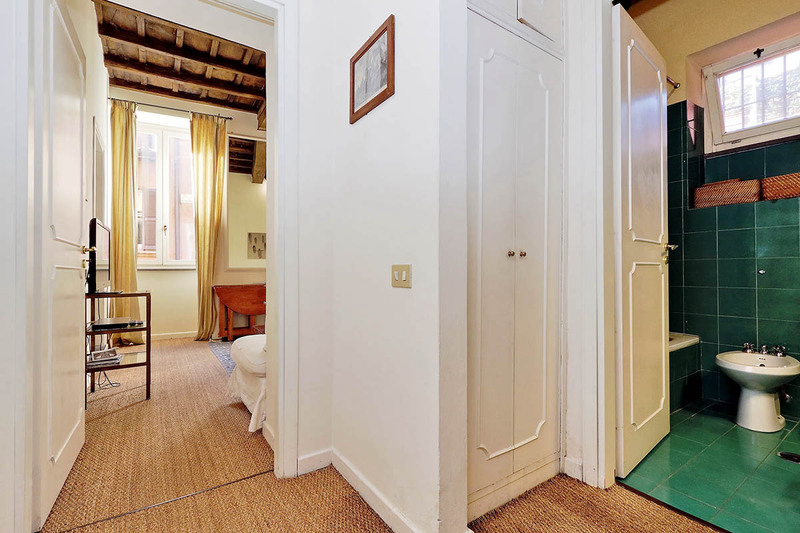 Excellent locations only steps from Trevi Fountain and all the other popular sites. Apartment was very clean and comfortable. The lack of a lift/elevator was a minor issue for our adult daughter who has disabilities, but we managed by going slowly. Definitely would recommend. at the Trevi Fountain, lively late into the night and heard inside the apartment. nice and fresh apartment. very helpful staff. Thanks tp Nissar for his hospitality. We enjoyed our stay. This cozy studio apartment sits on the 3rd floor (the building doesn’t have an elevator). 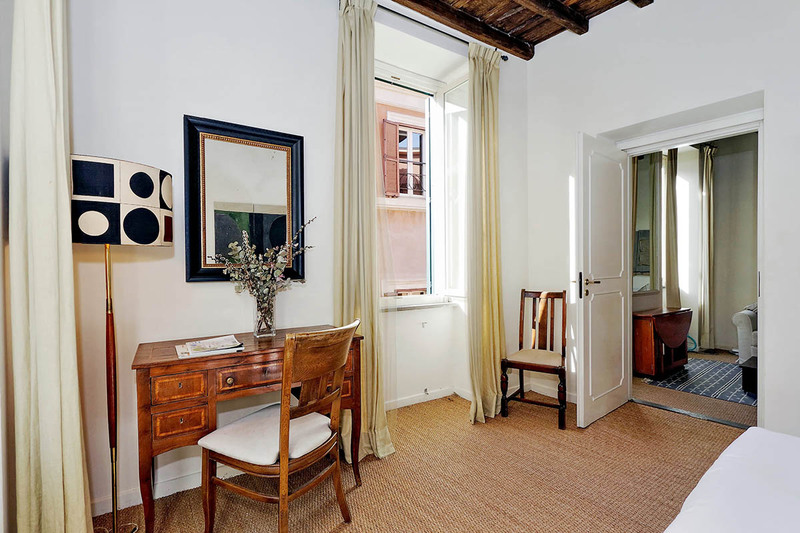 A family with children or a couple can enjoy this apartment as a perfect base from which to explore Rome. 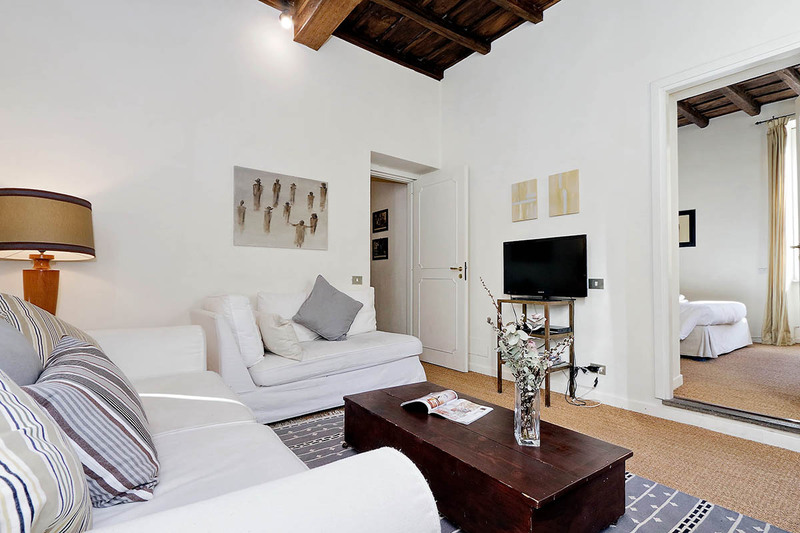 The sought-after location of this elegantly-furnished Rome rental apartment also makes it extremely good value for money. Moreover, this apartment boasts tasteful furnishings and a modern decor. In addition to this, guests can enjoy a renovated kitchen with everything you will need during your stay. 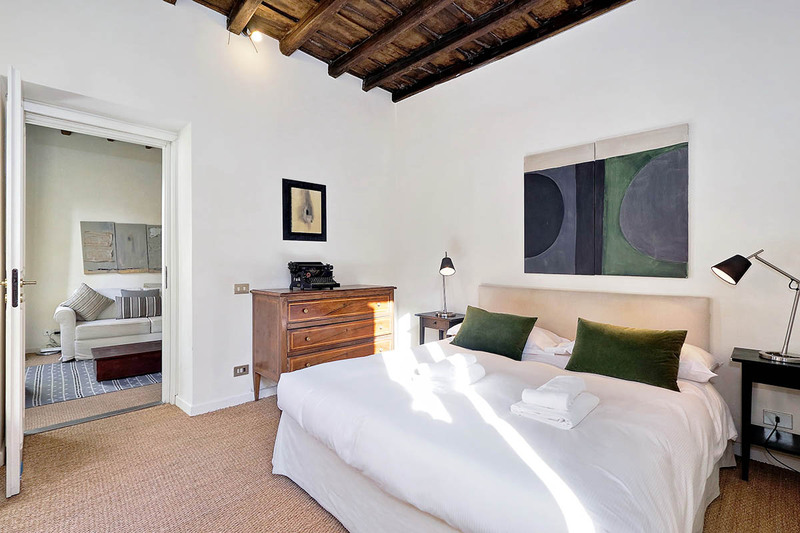 You can also rent the Trevi charming apartment together with the Trevi stylish apartment, Trevi lovely terrace apartment, Trevi house apartment, or Trevi elegant apartment. 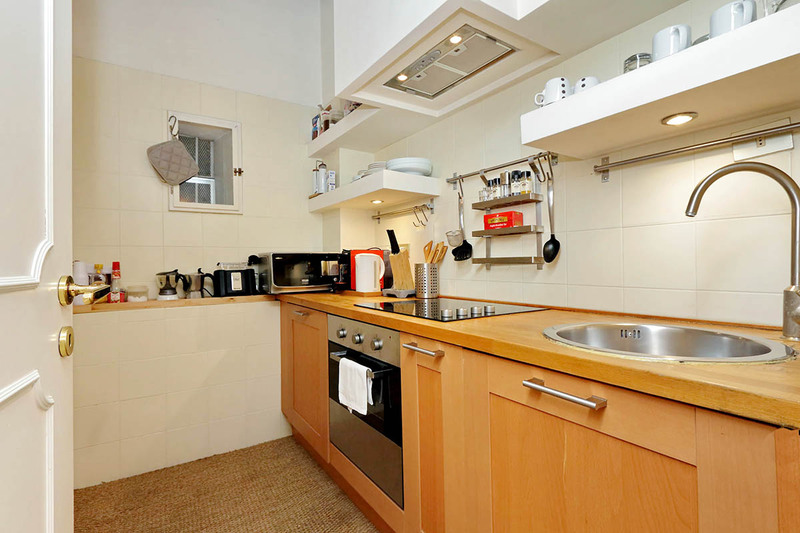 These all lie within the same building, making them a useful option for groups or large families. In the living room has a comfortable sofa bed large enough to easily sleep 2 adults. Here, you will also find a dormeuse, wooden coffee table, bookcase, flat TV, Hi-Fi system, and contemporary paintings. All guests will also have access to Wi-Fi Internet and an air conditioning unit. The calm and tranquil atmosphere of the living room is relaxing after a long day exploring Rome. Through a door in the living room provides access to the master bedroom. This room has a king-size bed with night tables, lamps and an antique wooden desk. The bathroom in this apartment lies just off the master bedroom and has a large shower. In addition to the living room and master bedroom, there is a fully-equipped kitchen. Here you will find an electric stove, an oven, a coffee maker, a fridge and a freezer. The kitchen has everything you need to prepare a simple breakfast or a wonderful dinner with fresh ingredients from the local markets. Overall, this apartment provides a peaceful space where you can relax and plan your day from the comfort of your own living room. 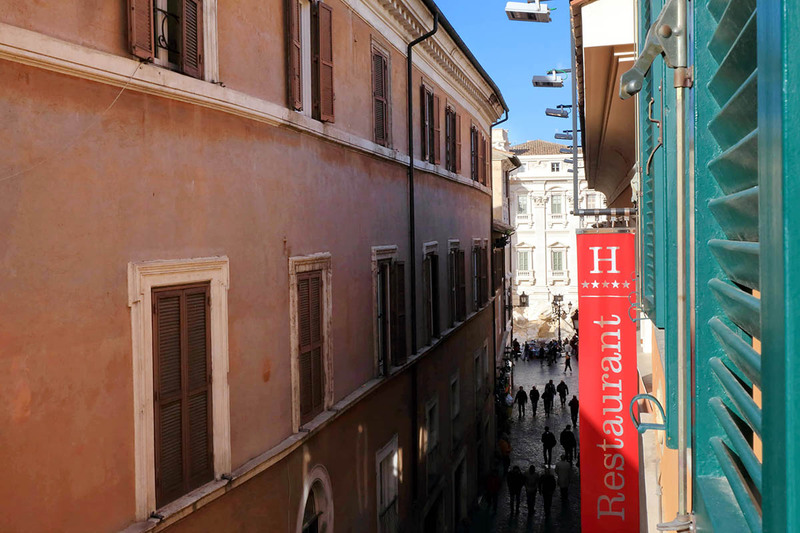 The apartment finds itself in such a great area for seeing the true heart of Rome, we recommend you try an Italian aperitif at Residenza di Ripetta, on Via di Ripetta followed by a delicious dinner at Ristorante da Nino, on Via Borgognona. 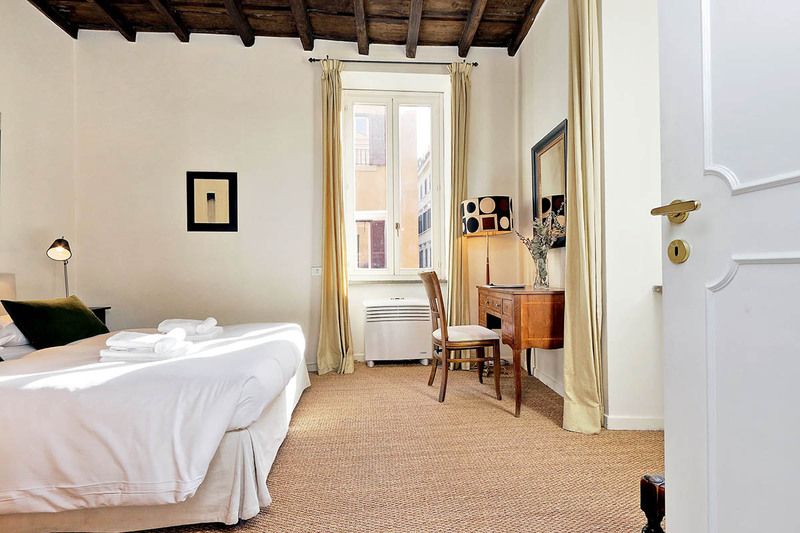 Late in the evening, take advantage of staying in this central location to see the beautifully renovated Trevi Fountain with very few tourists around! The area itself is known to be stylish and elegant, with a high concentration of designer shops and boutiques, as well as equally refined restaurants and bars. It moreover benefits from lying on the Metro A line, giving its visitors direct access to the central station, Termini. This will also provide you with access to Metro B, which will take you to the Colosseum, Monti, and the Giardino degli Aranci. Just come back from 4 excellent days in this lovely apartment. Welcome and arrangements from Romeloft staff were 10/10. 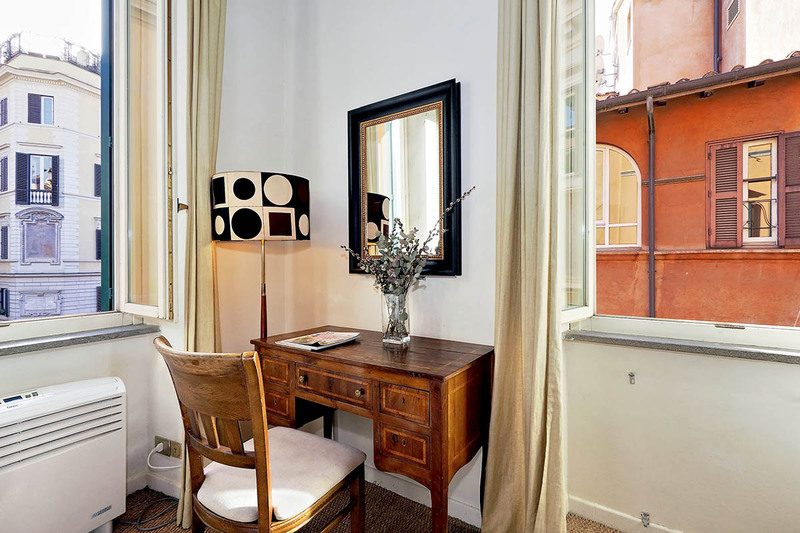 The apartment is what you see, very well decorated, clean and spacious, just round the corner of Trevi Fountain. I strongly recommend it and no doubt I would come back in a very near future. Thank you Romeloft for your excellent w...Read Moreelcome and apartment. We loved this apartment! It was so tastefully decorated and perfectly located. We could walk to everything. 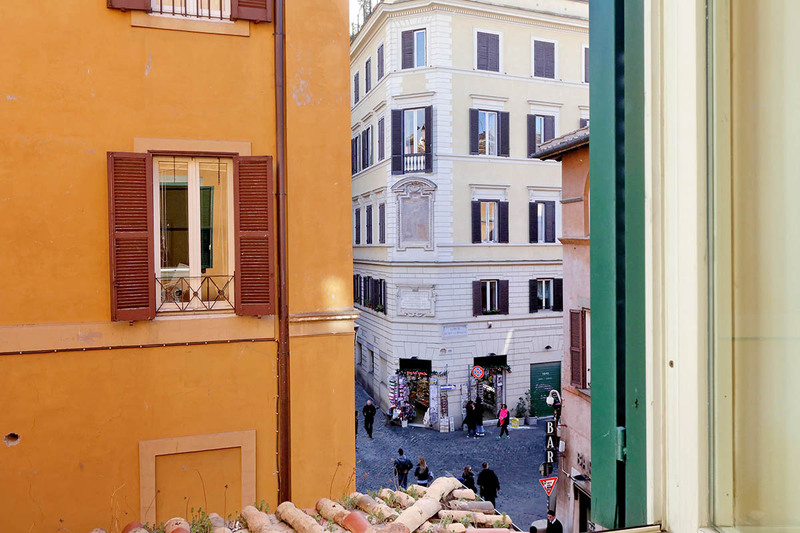 We could hear the most wonderful place on earth from our windows--The Trevi Fountain! We could take a cup of coffee at 7AM and go sit by the fountain to enjoy it when no one else was there. My only criticism is not specific to this apartmen...Read Moret, but of all the apartments in Europe that we rented--pillows were stained and there were no mattress covers like we are used to in America. All linen was very clean but we .like that extra barrier between dust mites, etc.. Mateen was so kind and helpful and brought us new pillows and extra sheets. Also, what to do with garbage seems to be a problem in Rome. It tends to pile up, especially when you cook and eat in like we did. I loved that the interior of the building was nice and clean with marble steps and clean plaster walls....so nice. La casa e' molto Fedele alle immagini del sito! È' luminosa , accogliente , pulita, curatissima nei particolari ed anche molto silenziosa ( considerando che si trova in una zona di grande affluenza) il posto e' centralissimo, 2 minuti a piedi per raggiungere la fontana di Trevi, ma pochi minuti per visitare tutto il resto del centr...Read Moreo storico! Non occorre usare mezzi! Io ho vissuto lì un mese e mi sono trovata benissimo! Era tutto a portata di mano! Very tastefully done place at a great location. We stayed 4 nights and found the apartment comfortable after long days sight seeing and for two people. It would be uncomfortable for 4 adults. We arrived a little later than anticipated at the apartment and the apartment's representative patiently waited for us. The location was great with easy walking access to the major sights. There are ma...Read Moreny good restaurants nearby and a great supermarket and fornaio. There were a couple of downsides, internet access was very poor as we had no access, we connected however unable to surf the net or send emails and there was a persistent bad smell in kitchen which would go even when opening the window. Due to not having access to internet/email we were unable to report this to RomeLoft. If internet access were fixed & kitchen smell removed I would have no hesitation in recommending the apartment. 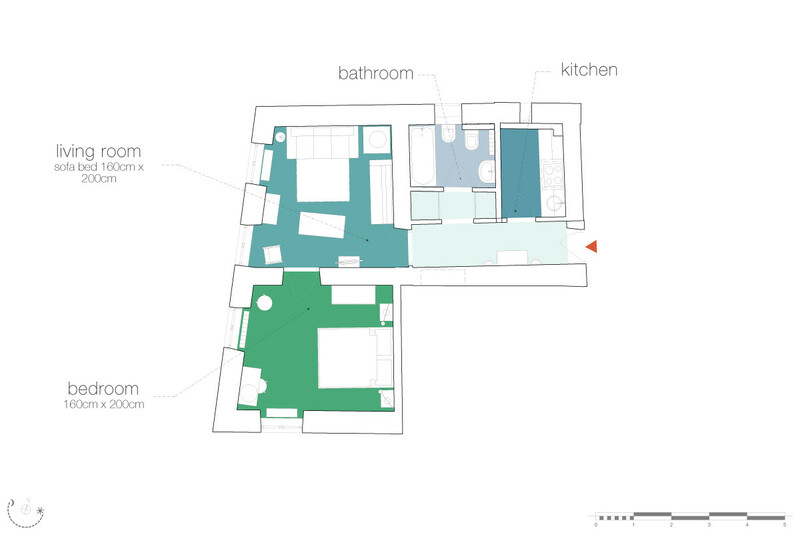 Neat and tidy functional location for visiting Rome. Everything that a couple would need on hand, comfortable bed, clean bathroom and working kitchen. 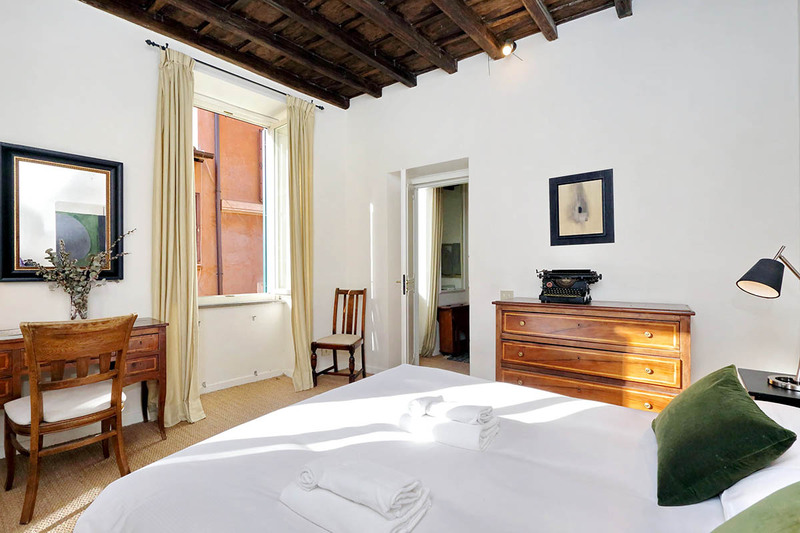 Within walking distance to the major attractions of Rome. Our arrival was handled professionally and features of unit explained well. 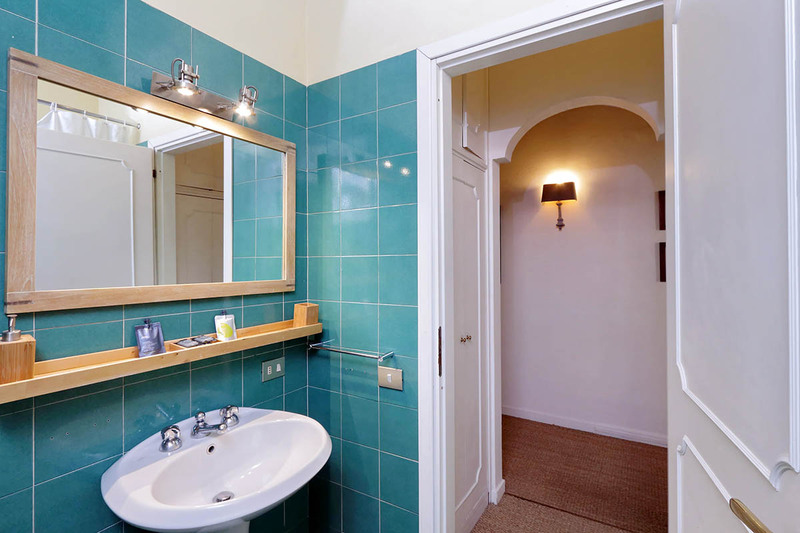 The apartment was fantastically located just a few steps away from the Trevi fountain. We walked to all the main tourist attractions easily, with the Colosseum and the Forum being about 20 mins away. The owner of the apartment was very helpful and always just a phone call away. The apartment had everything we needed and the roof terrace was absolut...Read Moreely lovely, with views across the roofs to the top of the Trevi fountain building. The terrace had lovely plants all around it which I think would be very fragrant in summer. In the Trevi fountain square is a small food market / deli which was great, and the area was full of nice restaurants - the best being off up side streets (and without pictures of the food outside!) One thing to note is that the apartments need to be paid for in cash when you arrive, something I hadn't understood from the email booking. The owner however was very patient with us and told us to take our time getting the cash out. All in all Rome is fabulous and our apartment was too. This was a tidy apartment for two and handy to everything. It was just as advertised. The local information from Honey and driver Bilu was much appreciated. A quelques mètres de la très célèbre fontaine di Trevi, cet appartement est idéalement placé au coeur de la ville. Très bien décoré, et aménagé il a répondu à toutes nos attentes pendant une semaine. L'accueil a été qualitatif et ponctuel. Nous sommes ravis de notre 1er séjour à Rome. I stayed at Trevi Cozy apartment with my mom and aunt. We had an amazing time. Honey was waiting for us upon our arrival, he helped us with pur lugage, and was very polite and helpfull. 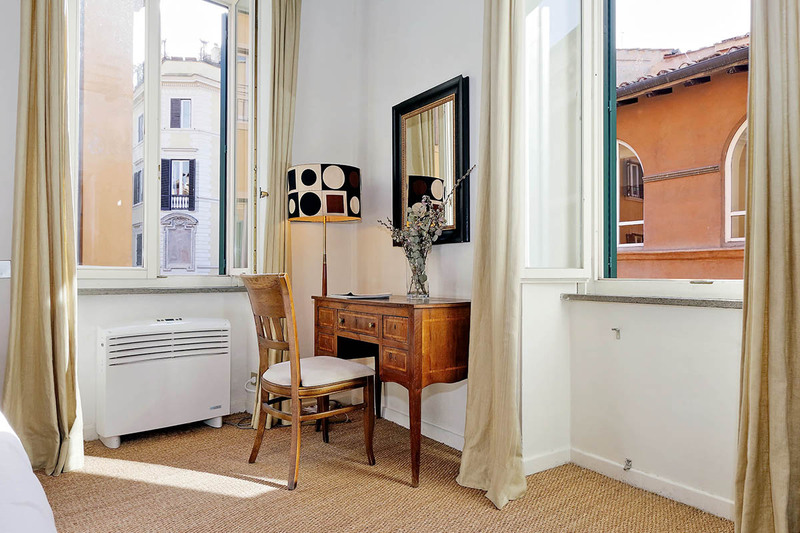 The apartment is clean, bright, spacious and even though is right at the Trevi Fountain, there was no street sound when the windows were closed. We left the apart...Read Morement at 3:45am and the driver we booked was also there on time. 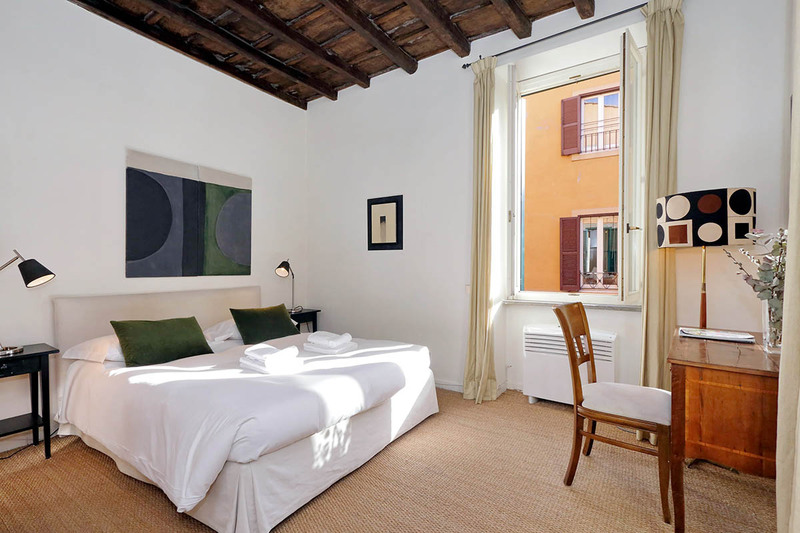 I recomend the apartment and Rome Loft to anyone going to Italy. We can't wait to go back!! Our stay in Trevi cozy appartement was wonderful. 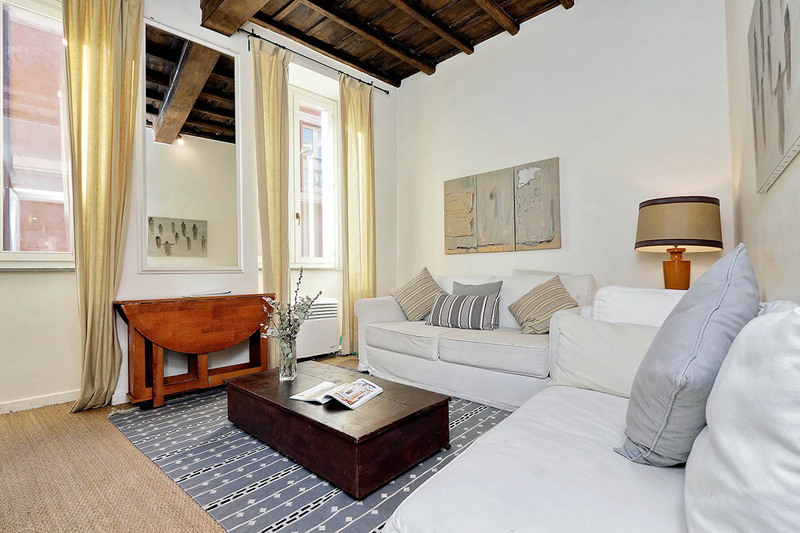 It is very stylish, sophisticated, fully equiped appartement, 1 min.walk from Fontana di Trevi. It was lovely and charming walking back to appartement late in the evening and seeing Fontana di Trevi with all that lights! Very dolce vita... Special thanks to Mr.Honey, who took a lot of care for us ...Read Moreand made our stay in Rome even more comfortable! Thank you Mr.Honey. And thank you Romeloft. We will definitely come back..